Here’s a fun series of photographs by a Japanese photographer who goes by hot kenobi on Instagram. Apparently he likes action figures, especially of super heroes, quite a bit. Both his Instagram and Twitter feed are filled with photos he’s taken of them in all sorts of situations. 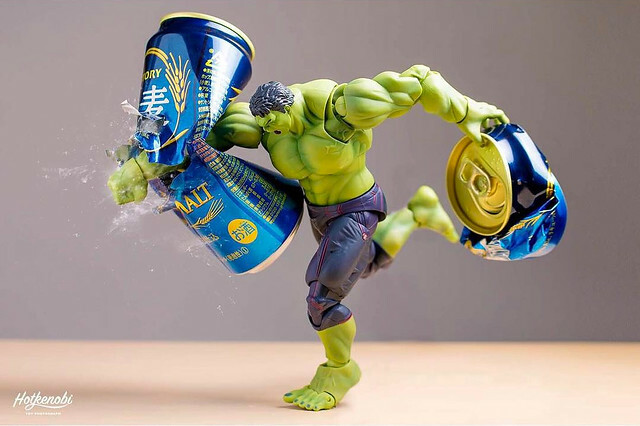 But lately, several of his works have involved superheroes, mostly from Marvel, having some fun with beer cans and bottles. Enjoy. 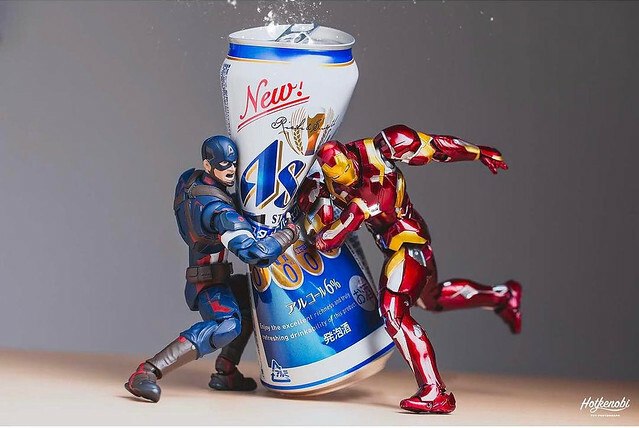 Captain America holds a can of Asahi like a punching bag while Iron Man takes a swing at it. 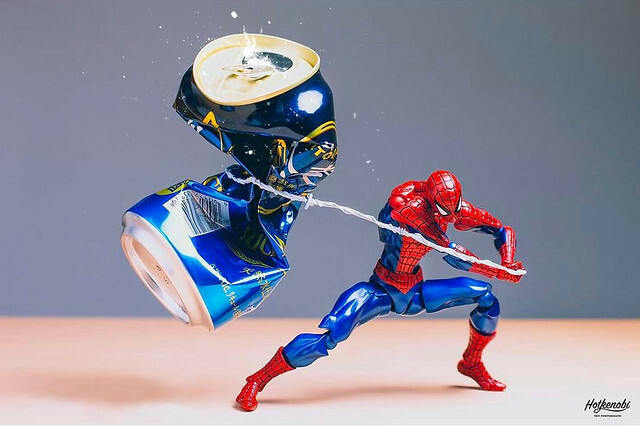 Spider-Man takes down a beer can with his web. 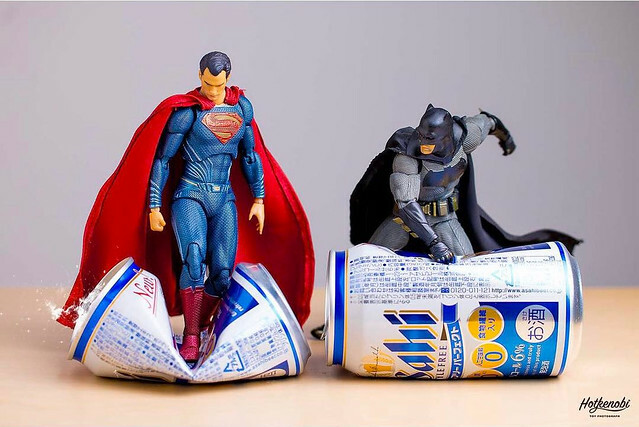 Superman easily crushes his can, while the mortal Batman has made only a small dent in his. 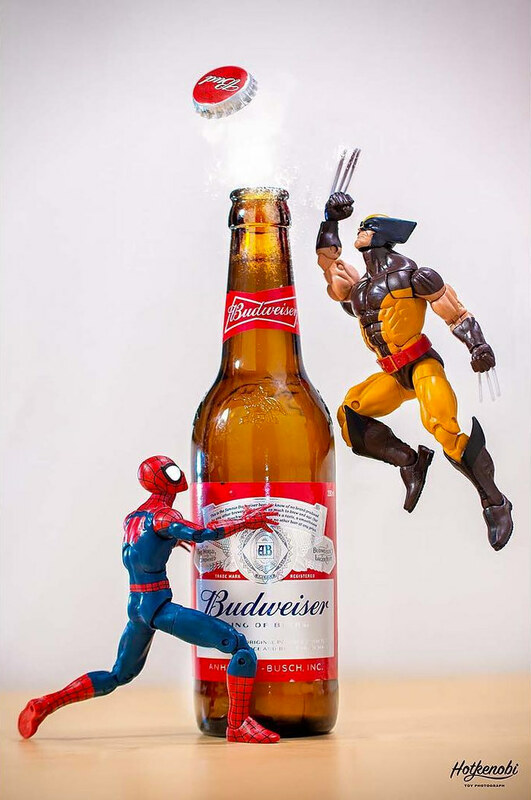 Just to mix things up, Wolverine opens a beer bottle with his adamantium claws, as Spider-Man holds on to it so it won’t fall over and spill.